Our Mission: Forging Heroes Society exists to encourage, empower, uplift, and educate children through the medium of tabletop roleplaying games, and the leadership of positive, adult role models. In less than two months (May & June) we supplied two clubs and about a dozen kids with everything they needed to play D&D. This school year started less than a month ago, and we're already supplying 4 clubs and over 50 kids with what they need to play and run games at their school. What We Do: We supply students and schools with everything they need to play, or run, roleplaying games. We supply them with core rule books, dice for every player, miniatures and battlemats, markers and additional supplements so they can have, or lead, the adventure of a lifetime. When a club finishes for the year, we visit the club again. Based on the recommendations of the club leader, whether that's a teacher or peer, we then give two or three members of that club all they need to continue playing the game after club ends and for the rest of their life. What We Need Your Money For: For everything listed above, but primarily: core rule books, battlemats, DM/GM screens, minis and new roleplaying systems (as not everyone wants to play D&D), and their core rule books and whatever else is required to play them. Forging Heroes Society is passionate about the positive impact collaborative storytelling can have, especially when facilitated with numeracy and literacy in mind. 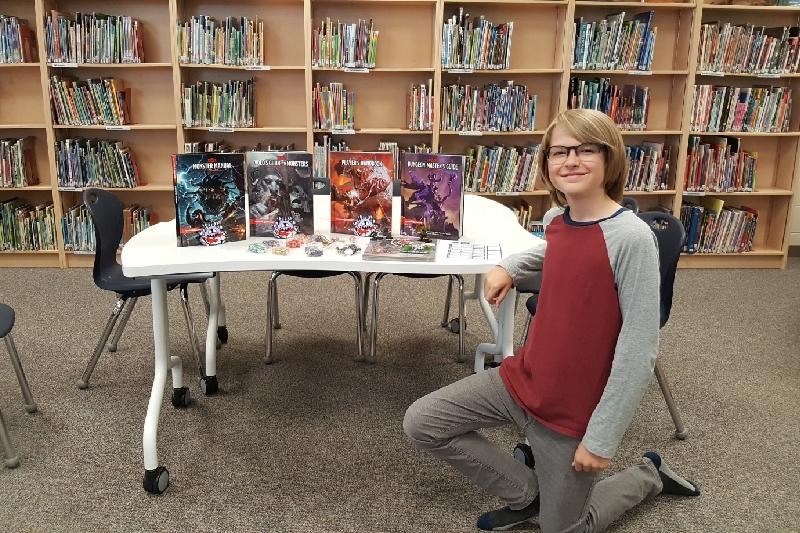 In a day and age where many people complain about the amount of time children spend on screens, tabletop roleplaying games are a break from that. Sitting around a table with their peers, creating or exploring worlds that didn't exist, taking risks and problem solving, sharing those moments that can only be experienced at the table and become the stories they remember as they grow into the worlds leaders, is what Forging Heroes Society lives for and loves.